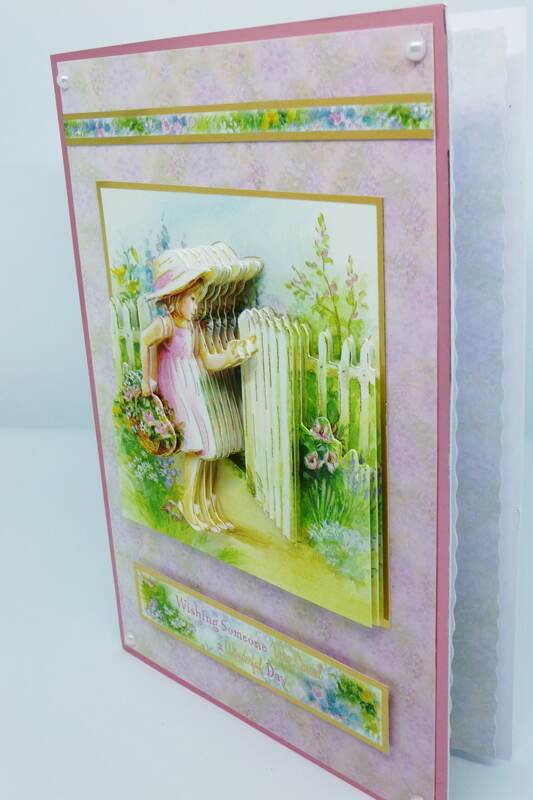 A lovely card 3D Decoupage made from white base card, layered with pink metallic card and pink patterned card, with a large topper in the centre of the card with the 3 D decoupage of a little girl in a pink dress going through a gate carrying a basket of pink flowers, below is a sentiment which says,' Wishing Someone Very Special a Wonderful day'. 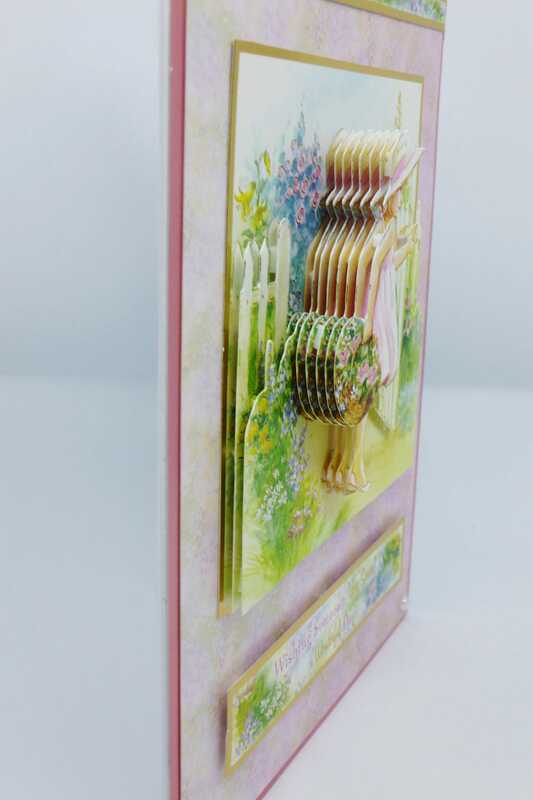 In each corner are pearl embellishments. 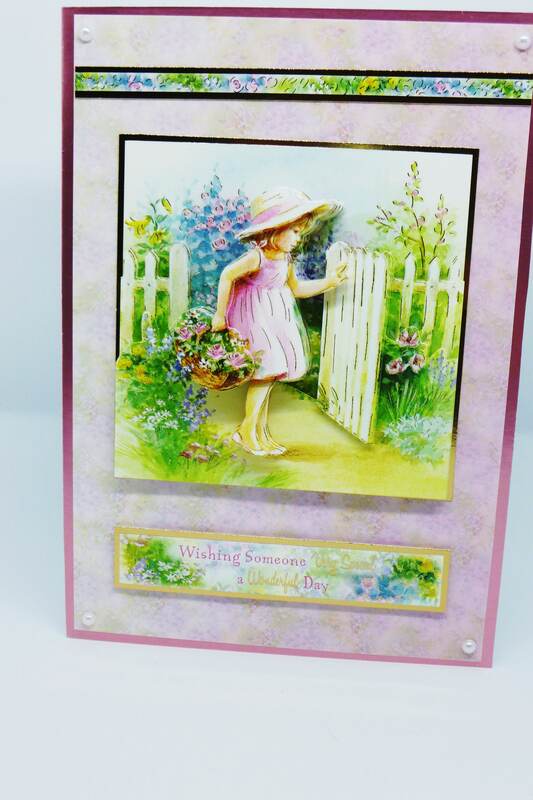 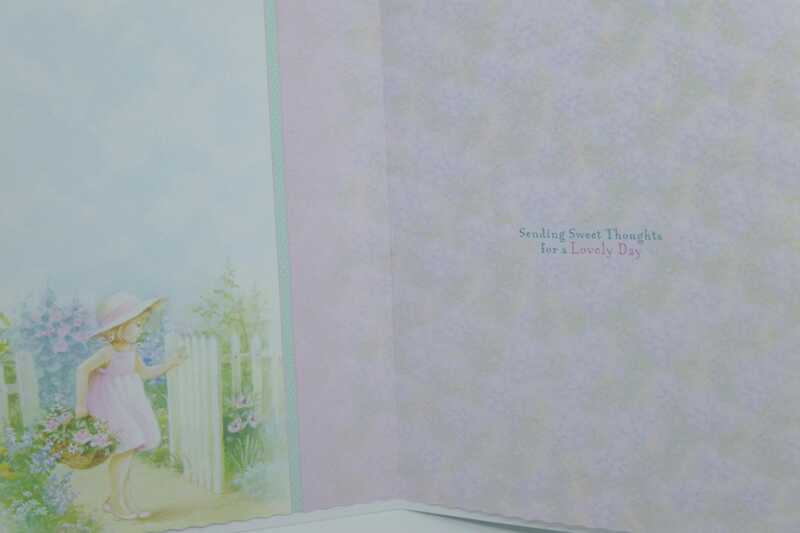 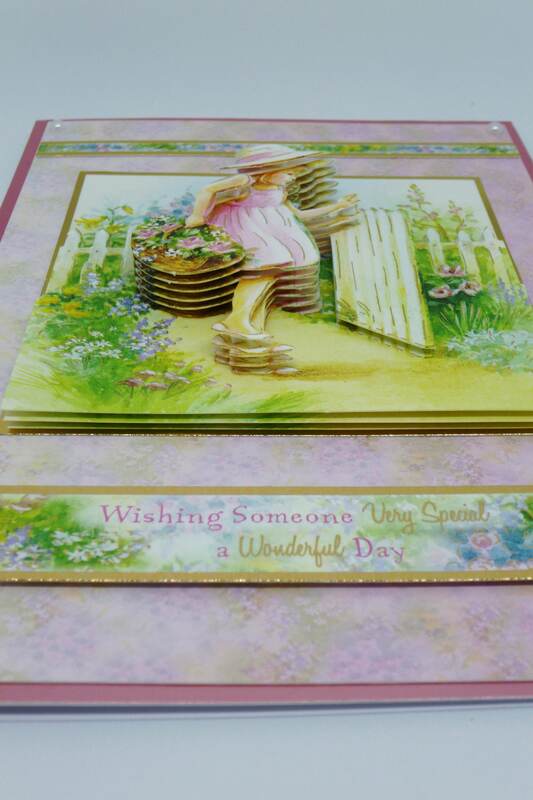 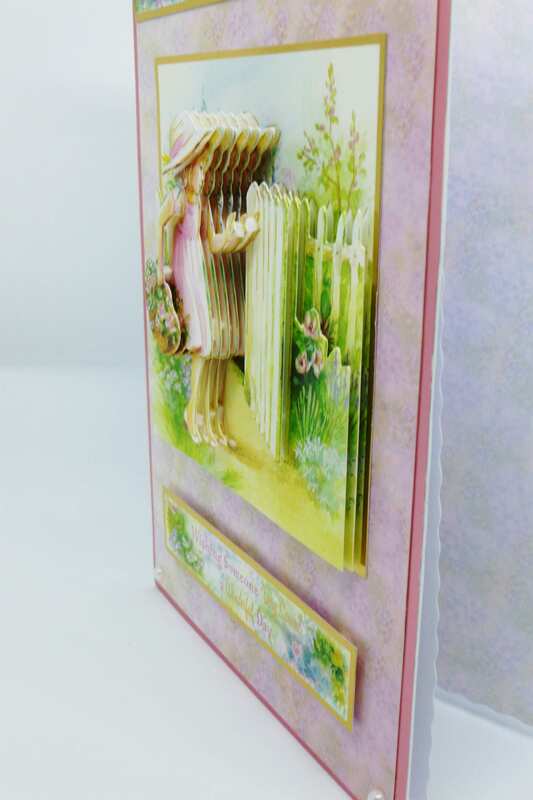 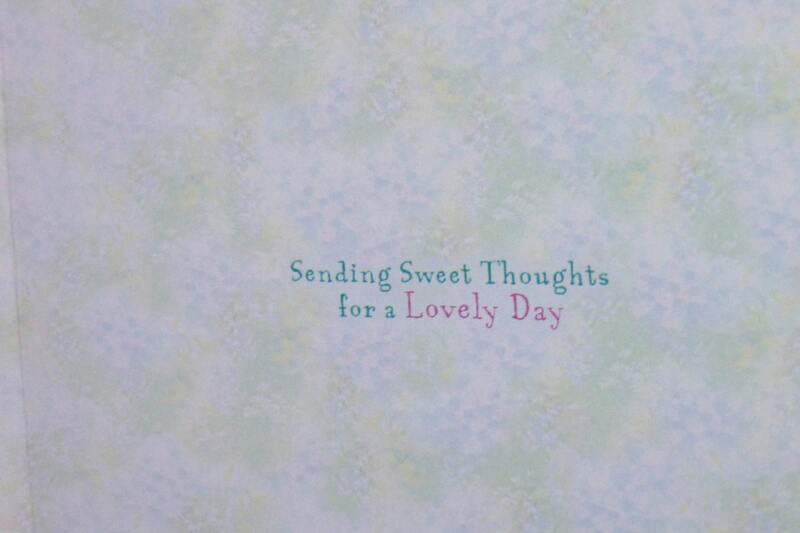 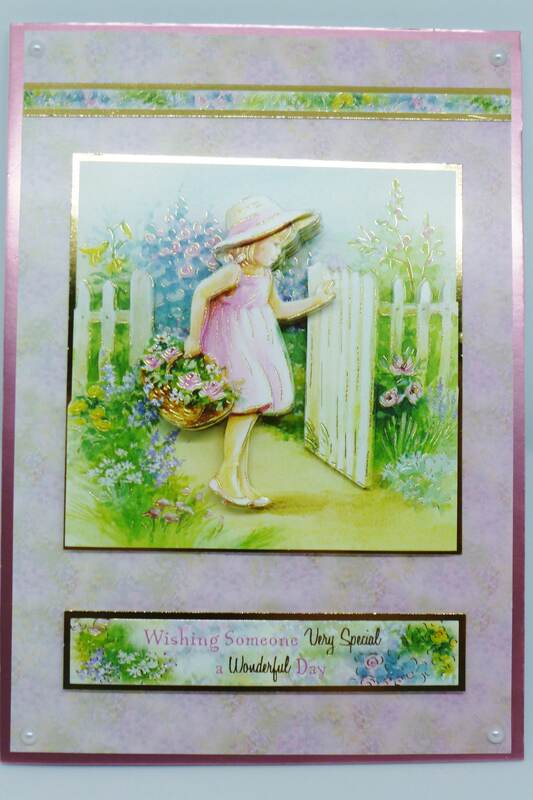 Inside the card is matching insert paper with the words,' Sending Sweet Thoughts for a Lovely Day'.